THE NEXT WEB: Since 2008, bitcoin adoption has been influenced by a diverse range of factors that have made it one of the most volatile currencies in the world. Yet, despite such volatility, more than 100,000 bitcoin transactions are taking place per day and the volume continues to grow due to the ‘permissionless innovation’ provided by bitcoin’s underlying technology, the blockchain. As the blockchain matures, bitcoin will increasingly resemble traditional financial services, with functions such as retail banking (Circle), exchanges (Coinbase) and payment processors (bitnet) being created. But how did it all start off, and where will it go next? Here, we take a brief overview of the major milestones in the cryptocurrency’s brief history and look to where it might be headed in the future. Three individuals, Neal Kin, Vladimir Oksman, and Charles Bry file an application for an encryption patent application. All three individuals deny having any connection to Satoshi Nakamoto, the alleged originator of the Bitcoin concept. The three also register the site Bitcoin.org in the same month, over on anonymousspeech.com – which allows people to buy domain names anonymously. Despite the above, Satoshi Nakamoto releases his white paper, revealing his idea for a purely peer-to-peer version of electronic cash to the world. In his vision, he manages to solve the problem of money being copied, providing a vital foundation for Bitcoin to grow legitimately. The first block, nicknamed ‘Genesis’ is launched allowing the initial ‘mining’ of Bitcoins to take place. Later that month, the first transaction takes place between Satoshi and Hal Finney, a developer and cryptographic activist. Bitcoin receives an equivalent value in traditional currencies. The New Liberty Standard established the value of a Bitcoin at $1 = 1,309 BTC. The equation was derived so as to include the cost of electricity to run the computer that created the Bitcoins in the first place. The world’s first Bitcoin market is established by the now defunct dwdollar. A programmer living in Florida named Laslo Hanyecz sends 10,000BTC to a volunteer in England, who spent about $25 to order Hanyecz a pizza from Papa John’s. Today that pizza is valued at £1,961,034 and stands as a major milestone in Bitcoin’s history. Bitcoin is hacked. A vulnerability in how the system verifies the value of Bitcoin is discovered, leading to the generation of 184 billion Bitcoins. The value of the currency – from a high of $0.80 to $1 in June drops through the floor. Bitcoin goes under the spotlight. After the hack in August – and a subsequent discovery of other vulnerabilities in the blockchain in September – an inter-governmental group publishes a report on money laundering using new payment methods. Bitcoin, it suggested could help people finance terrorist groups. Bitcoin reaches $1 million. Based on the number of Bitcoins in circulation at the time, the valuation leads to a surge in Bitcoin value to $0.50/BTC. The Silk Road, an illicit drugs marketplace is established, using Bitcoin as an untraceable way to buy and sell drugs online. Bitcoin reaches parity with the US dollar for the first time. By June each Bitcoin is worth $31 giving the currency a market cap of $206 million. The first major theft takes place. Bitcoin Forum founder allinvain reports having 25,000 BTC taken from his digital wallet, which had an equivalent value of $375,000. In the same month, a major breach of security sees the value of the currency go from $17.51 to $0.01 per Bitcoin. ​The US Financial Crimes Enforcement Network (FINCEN) issues some of the world’s first bitcoin regulation in the form of a guidance report for persons administering, exchanging or using virtual currency. This marked the beginning of an ongoing debate on how best to regulate bitcoin. Bitcoin market capitalisation reaches $1bn. Federal Judge Mazzant claims: “It is clear that Bitcoin can be used as money” and “It can be used to purchase goods or services” in a case against Trendon Shavers, the so-called ‘Bernie Madoff of bitcoin’. Bloomberg begins testing bitcoin data on its terminal. Although alternative tickers exist, endorsement from Bloomberg gives bitcoin more institutional legitimacy. Bitcoin price climbs to $700 in as the US Senate holds its first hearings on the digital currency. The Federal Reserve chairman at the time, Ben Bernanke, gives his blessing to bitcoin. In his letter to the Senate homeland security and government affairs committee, Bernanke states that bitcoin “may hold long-term promise, particularly if the innovations promote a faster, more secure and more efficient payment system”. China’s central bank bars financial institutions from handling bitcoin transactions. This ban was issued after the People’s Bank of China said bitcoin is not a currency with “real meaning” and does not have the same legal status as fiat currency. 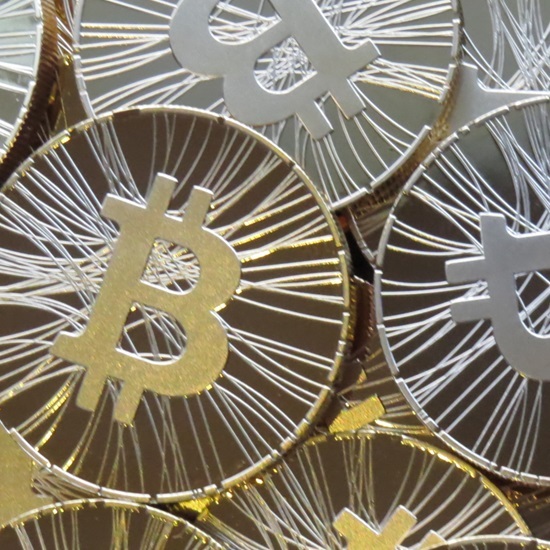 The ban reflects the risk bitcoin poses to China’s capital controls and financial stability. Today China remains the world’s biggest bitcoin trader, with 80% of global bitcoin transactions being processed in China. Bitcoin custodians Elliptic launch the world’s first insured bitcoin storage servicefor institutional clients. All deposits are comprehensively insured by a Fortune 100 insurer and held in full reserve. This means Elliptic never re-invests client assets; instead they secure them in deep cold storage. Overstock.com becomes the first major online retailer to embrace bitcoin, accepting payments in the US. Overstock was the first in what is now an expeditiously growing list of large businesses that accept bitcoin. HMRC classifies bitcoin as assets or private money, meaning that no VAT will be charged on the mining or exchange of bitcoin. This is important as it is the world’sfirst and most progressive treatment of bitcoin, positioning the UK government as the most forward thinking and comprehensive with regard to bitcoin taxation. 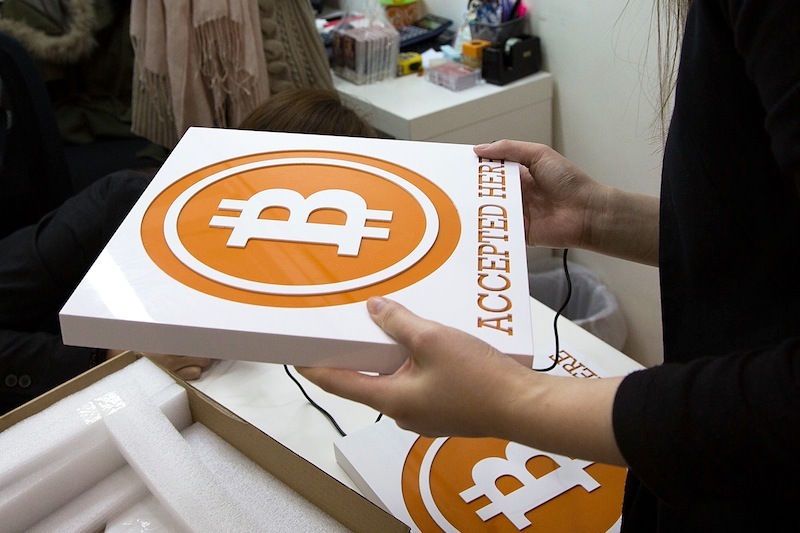 The US government auctions off more than 29,000 bitcoins seized from the Silk Road, the illegal online marketplace. The sale and closure of the marketplace marks growing institutional understanding of the potential use cases of bitcoin. Additionally, the closure and auction of the Silk Road has helped bitcoin gain legitimacy as it demonstrates that bitcoin is not an easy way for online criminals to avoid the rule of law. From this point onwards bitcoin can no longer be considered as a currency for criminals. The use of the bitcoin blockchain means that the identity of users can often be established. The ‘Bit Licence’ edges towards reality as the New York State Department of Financial Services releases the first draft of the agency’s proposed rules for regulating virtual currencies. The European Banking Authority publishes its opinion on ‘virtual currencies’. Their analytical report recommends that EU legislators consider declaring virtual currency exchanges as ‘obliged entities’ must comply with anti-money laundering (AML) and counter-terrorist financing requirements. The EBA report is important as it acts as a catalyst to launch bitcoin into the financial mainstream by highlighting the fact that virtual currencies require a regulatory approach to strive for an international coordination to achieve a successful regulatory regime. 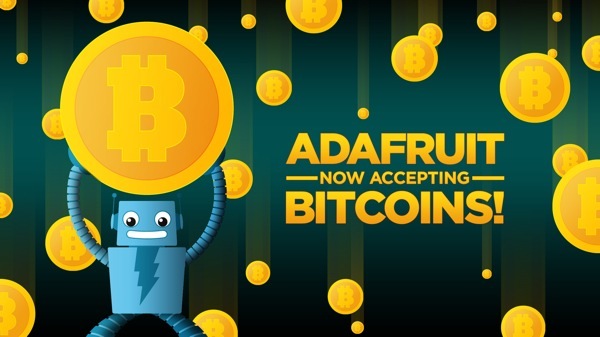 Also that month GABI (Global Advisors Bitcoin Investment Fund) launches the world’s first regulated Bitcoin Investment fund. This is important to the bitcoin ecosystem as the launch of this investment vehicle adds further legitimacy to bitcoin in addition to allowing regulated investors a way to invest in bitcoin. The Chancellor of the Exchequer, George Osborne, demonstrates his and HM Treasury’s positive outlook on bitcoin when he purchases £20 worth of bitcoin and announces HM Treasury’s Call for Information on digital currencies, offering digital currency businesses the chance to comment on the risks and benefits and potentially influence future government policy. TeraExchange announces that the first bitcoin derivative transaction was executed on a regulated exchange, adding a new hedging instrument to bitcoin and instilling credibility and institutional confidence in the entire bitcoin community. Tech giant Microsoft begins accepting bitcoin payments. The New York Stock Exchange is a minority investor in Coinbase’s $75M funding round. The NYSE aims to tap into the new asset class by bringing transparency, security and confidence to bitcoin. The results of the UK Treasury’s call for information on digital currency are announced. There are several possible ways Bitcoin can go at this point, all of which point to a legitimate, widespread adoption by large institutions through tighter regulation. Recently, New York’s BitLicense became the world’s first digital currency-specific regulatory regime. It has been through a couple of rounds of consultations and is expected to come into force in a couple of weeks. The European Central Bank and European Banking authority have both released detailed reports on digital currencies, and suggested regulation of the industry by the EU to further control price fluctuations. The Winklevoss brothers, they of Facebook fame, are on the verge of launching their own exchange-traded fund holding Bitcoins. Bitcoin’s journey into the financial mainstream has already begun, with HM Treasury’s report on digital currencies marking encouraging progress toward the predictions in this infographic. The report introduces anti-money laundering, consumer protection and technical standardisation for digital currency companies in the UK, which will encourage traditional financial services to engage more with digital currency businesses and accelerate the integration of blockchain technology within financial services.